Few wardrobe staples have the ability to imbue the wearer with confidence quite like the blazer. 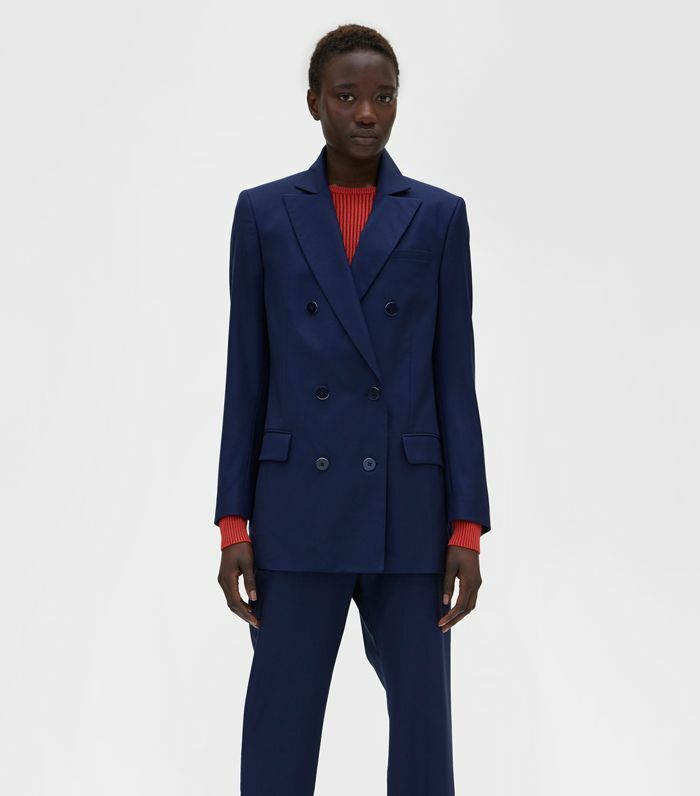 It's the trump card in your closet: No matter what you're wearing underneath, a well-cut blazer can turn an otherwise casual or haphazard outfit into a considered, office-appropriate look. If anyone can appreciate the power of a blazer, it's women on the go, like Cocokind founder Priscilla Tsai. "I have blazers of all different colors, some that are slender and some that are wider. They all make me feel like I'm about to conquer my day—no matter how I style the look," she tells us. We tapped stylish CEOs and founders with jam-packed schedules to find out which blazer they reach for on repeat. From classic and tailored to boxy and bold, these cool-girl power picks are just what you need. The blazer: "My go-to blazer is the Good Wool Long Blazer. It checks all the boxes for me: lightweight enough to pack easily, structured enough to look polished, yet I wear the boxy cut slightly oversize to not be so formal. Plus, this line from Theory is sustainable and responsibly milled, so I feel good when I wear it." Wear it with: "I'm almost always in black and denim, so a blazer in even the subtlest of colors (like navy) adds a nice layer to my everyday look. The cut and the style can tone down a frilly, feminine dress or polish up a casual outfit. I'll typically wear this blazer with a black T-shirt, jeans, and black boots or slip-on loafers." The blazer: "Our Schoolboy Blazers have been on regular rotation for me recently. It's a perfectly tailored cut without too many fussy buttons or details, but it also has this relaxed look to it. I love that you can wear it more fitted for a classic look or a little oversize." Wear it with: "I personally wear it with jeans—skinny jeans or more of a boyfriend look and a vintage tee is my go-to uniform these days. I see some of the girls in the office wearing it with dresses too for a more bohemian look or over one of our silk or lace camisoles to spice it up." The blazer: "I tend to go for investment pieces that last a lifetime. 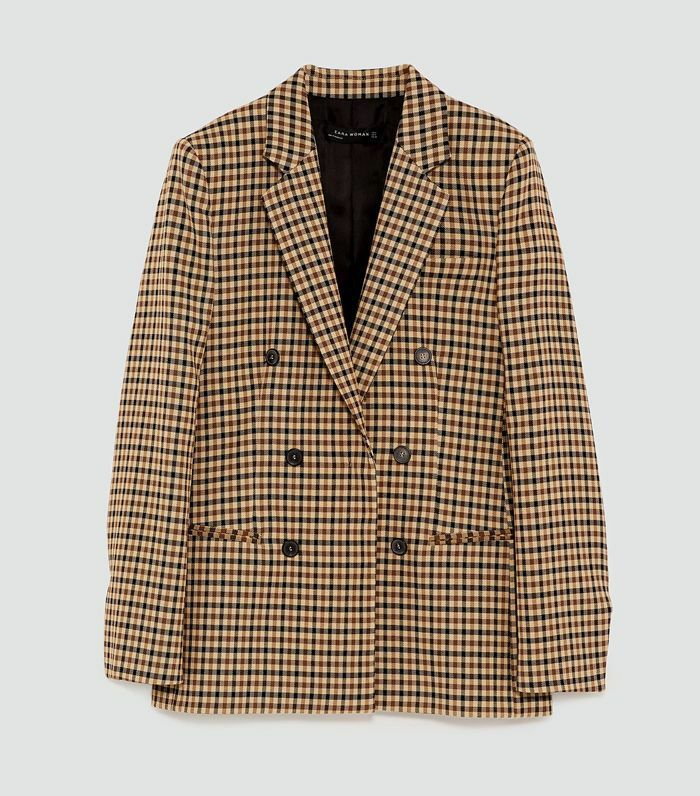 My go to is an Isabel Marant tweed boyfriend blazer. I bought it over four years ago, and it is still my wardrobe staple—rain or shine." Wear it with: "It works dressed up or down, looks great with heels, jeans, and pushed-up sleeves. It is also great for weekend walks on the beach in winter." The blazer: "I'm literally wearing this one right now! It's a green Rodebjer jacket. I like it because of the color and it's a bit oversize." Wear it with: "I often pair it with jeans (currently wearing Won Hundred brand high-waist jeans), Acne white low-tops, and a Monogram Studio shirt. I live in California, so when I wear blazers, I keep everything else pretty casual to dress it down." 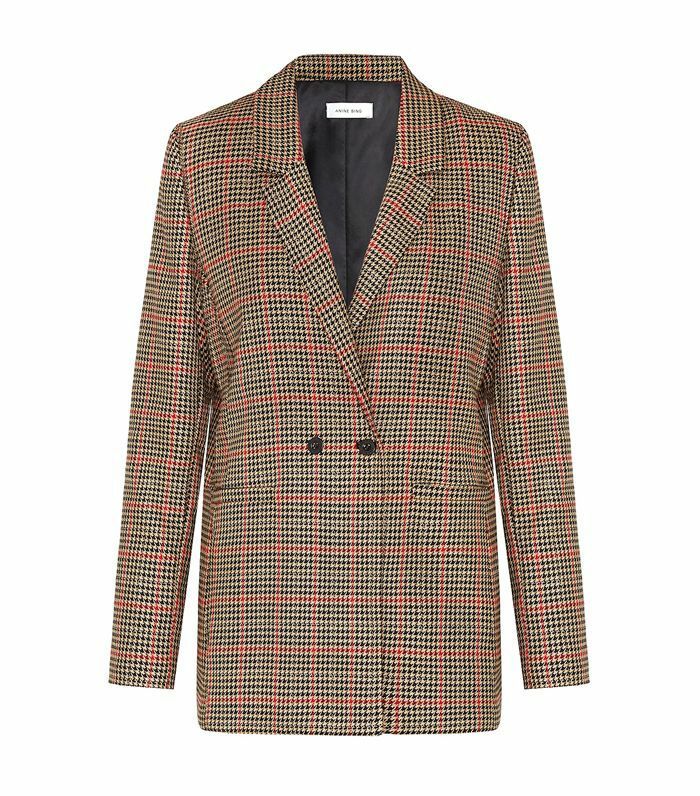 The blazer: "AYR's Coup blazer is classic with enough of a wink, so it's versatile for every single thing on my calendar. Ultimately, it's an upgraded foundation to dress up or down, kind of like all of Snowe's products." Wear it with: "I basically live in jeans and a white T-shirt, so a blazer I can throw on top—and look instantly polished—is a major win for me." 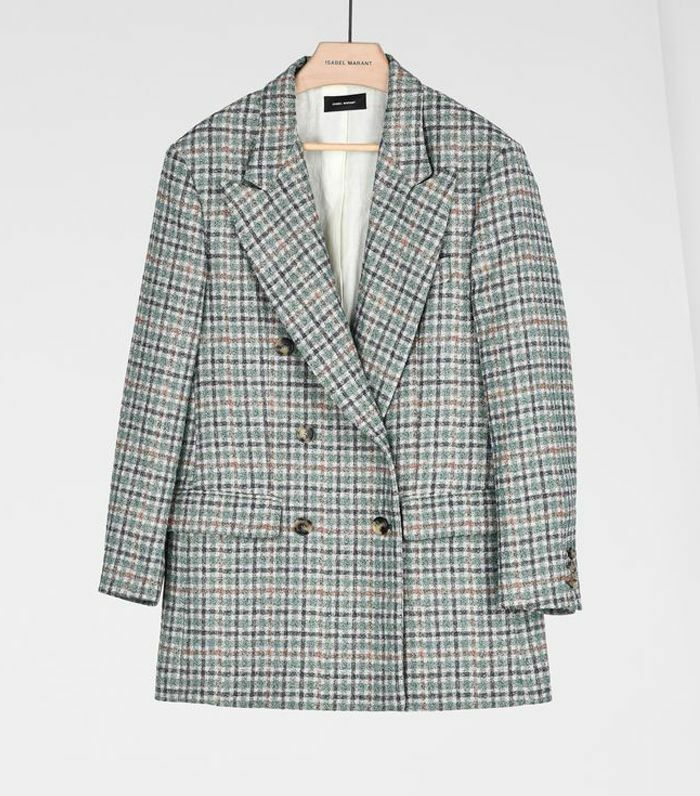 The blazer: "I recently bought this checked blazer from Zara that I've been obsessed with! The pattern brings me back to the '90s but also has a classic feel to it." Wear it with: "I usually keep it simple and wear the blazer with high-waisted jeans and heels, or a skirt and sneaker flats. I love any outfit that includes a blazer." 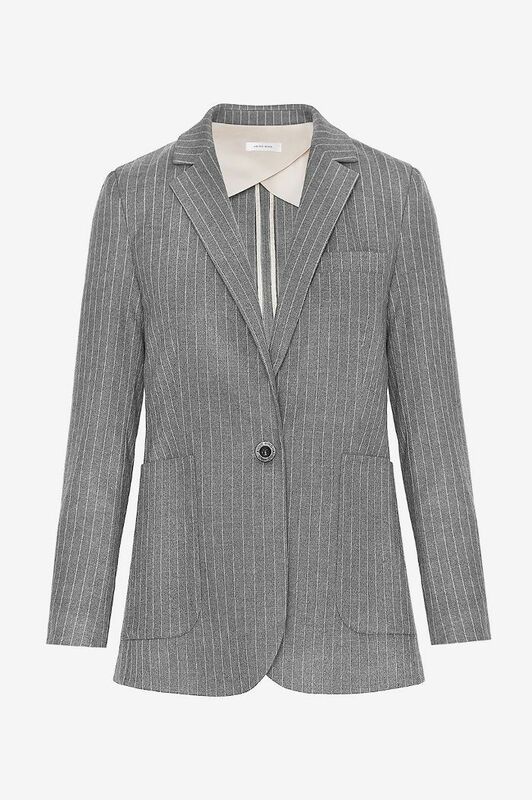 The blazer: "My go-to workwear blazer is the AYR Robe. Working in the art world, I find that a tailored blazer feels too corporate. I love this piece because it's neutral, comfortable, and still a statement." Wear it with: "I usually wear the Robe with high-waisted pants, heels, and a silk shirt for a more polished look, or dark jeans and a nice crisp T-shirt for more casual days." 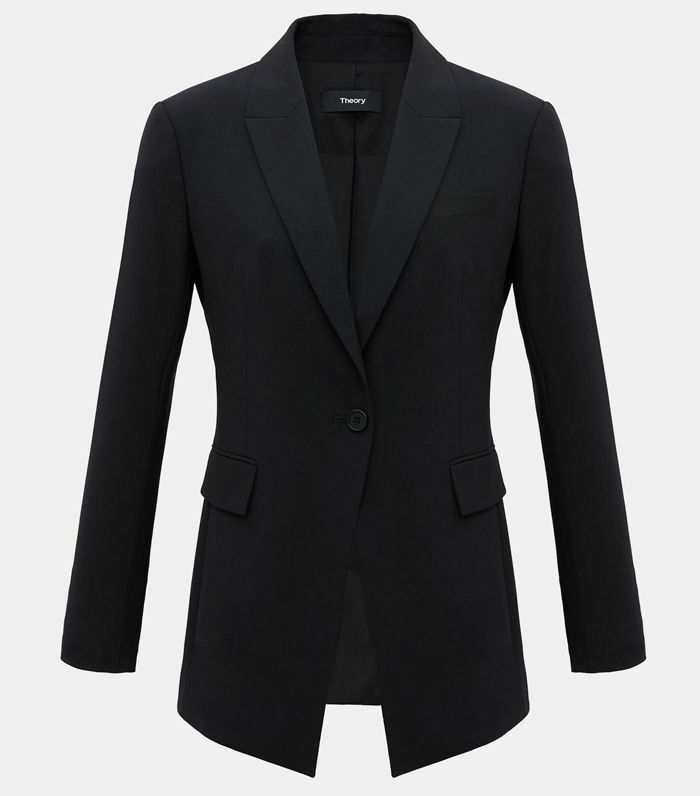 The blazer: "I love Anine Bing's Madeline Blazer." Wear it with: "I pair it with my Re/Done white tee, Moussy blue-denim straight-leg jeans, black booties, or my new J.W.Anderson loafers."